Even if you are not a college basketball fan, you cannot avoid hearing about “March Madness!” even though the Final Four and Championship game is the first weekend in April! The NCAA Men’s Division I basketball tournament is comprised of 32 teams and through single elimination, narrows the field down to “The Final Four” eventually naming the National Champion! This year, the final four culminates in the Championship Game in Indianapolis. The “madness” part refers to the tradition, the excitement, the opportunity and the upsets! In this year’s tournament, there have been SEVERAL shocking upsets! For example, the 11th seed Dayton upset the #6 team, Providence; #14 UAB stunned the world by beating #3 Iowa State by one point and hometown #14 Georgia State shocked #3 Baylor also by one point! Many more “Cinderella teams” have also seized their opportunity to shine in their trek towards a National Championship. Michigan State who was ranked number #7 this year beat #2 Virginia before being defeated. The excitement lies in the fact that regardless of the past, regardless of records, regardless of expectations, regardless of previous experience, any team can win on any given day! The same is true for you and your real estate business! You can list any property, sell any buyer, close any transaction! Nothing can hold you back, other than the only limitations you place on yourself! Want to start listing short sales? Get RealValuator and find out who the people are who need your help and go help them! They will never know that you have never listed a short sale before as long as you don’t tell them! Want to work with a Buyer looking for a home above $500,000? Find some properties in that price range and above to market and those buyers will come to you! They won’t know that this will be your first deal in this price range … unless you tell them! Your energy precedes you! Others can sense your confidence and professionalism without your having to “prove” yourself to them! Sometimes you have to “fake it ’til you make it” and the results will be worth it! The only time your potential clients will ask you “Have you worked in this price range before?” or “How many short sales have you listed?” is when you come across as hesitant, unsure or scared! Your job is to help others and our job is to help you help others! When is the last time you took a CE class or attended a workshop to learn something new? Have you been to a Team Meeting lately? Have you checked out the training webinars? You are really missing out on some incredible information necessary to hone your skills and acquire new ones designed to propel your business! There is a TON of information on the extranet and on our recorded training site (www.maximumonetraining.com) Who is the last top-producing agent you asked to shadow for a day/week? How much property have you previewed lately? How many blogs have you read on Active Rain? 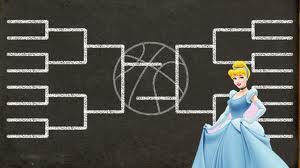 Be the “Cinderella agent” and go for own championship… enjoy your own “March Madness” and know that we are here to cheer you on!!!! 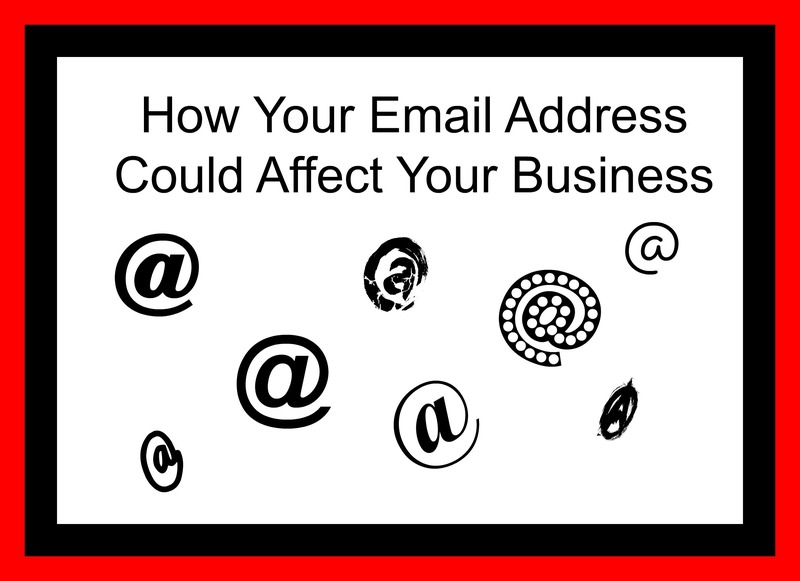 What is the email address that you use for your real estate business? Have you ever considered what it implies to the public about your business? Does the email address you use for business portray anything about real estate? Are you still using a personal email address for convenience sake? Is your email address easy to remember or is it easy to read? rather than Dana1258@gmail.com. Either use an email address that includes your real estate company’s name or an email that broadcasts something about real estate. To get a Free Maximum One email address, simply complete this MX1 Email Request Form & send to our Agent Services Coordinator, Vivian Green, ASC@eAGENTweb.com. The company email addresses currently available are: Firstname.Lastname@MaximumOne.pro. Create Your Own Business Email Address: It’s easy to create a clever and informative and professional email address. Create and purchase a domain name and then use the email address available with most domain providers. 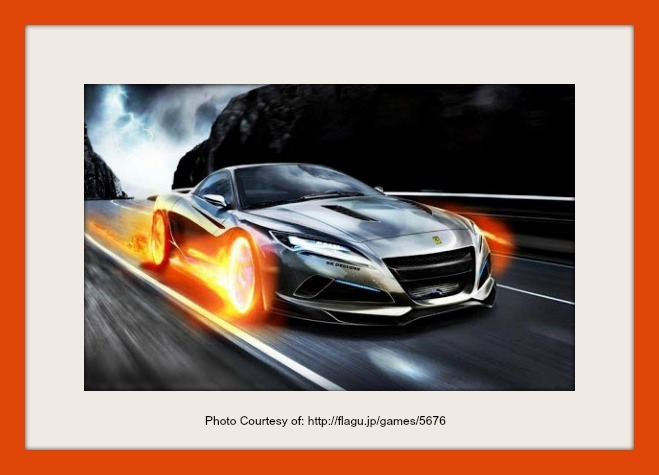 For example, through GoDaddy, you may typically purchase a domain name for $10/year. You can get really clever with your domain name and not only use the associated email address, but you may create a website using this domain name or point this domain towards any other website you create. The domain name should have something implying that you are in real estate: Dana@thetime2move.com or Dana@thehouseSOLDname.net. Is Your Email Address Easy to Read? If your email address includes underscores (_) when they are included with a hyperlink, many people will miss that underscore & you are most likely missing out on several emails – could you have had more listings or buyers but they weren’t able to email you because they didn’t realize there was an underscore in your address? Additionally, if your email address includes letters and numbers which are difficult to differentiate, you could be missing out on business. Have you had a hard time yourself determining between the letter o from the number 0 or the small letter L (l) from the number one (1) in someone’s email address? Accessibility to Your Email Addresses: If you maintain your personal email address for friends and family, you can easily add your professional email address to your smart phone, tablet and computer – it is easy to add several email addresses to those devices. You may also access several email addresses through one portal such as Outlook and Gmail. 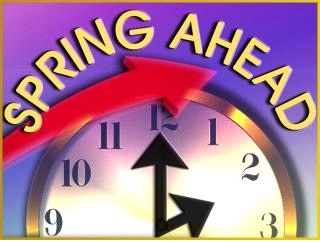 “Spring Forward & Fall Back!” Daylight Saving Time begins at 2am on Sunday, March 8, 2015. The time changes at 2am because that is believed to be the least disruptive time for the majority of people. Hawaii and most of Arizona do not observe Daylight Saving Time. The proper phrase includes “Saving” NOT savingS. When we move our clocks ahead one hour, we will lose an hour that will not be regained until we “fall back” to standard time on November 1, 2015. The ONE thing that everyone has in common is time… we all have 24 hours each day. So why is it that some agents seem to be more productive in those 24 hours and some agents seem to “lose an hour” EVERY day… not just this weekend when we change our clocks. There are many lessons we can learn from Daylight Saving Time that we can apply to our real estate sales business to be more productive. You got into this business to have “freedom,” so it’s about time that you took a proactive approach to getting it! By following the three steps above, you will put yourself in a position to stop working all hours of the evening and every weekend and truly enjoy your career for all that you envisioned it to be! You will soon be one of those enviable professionals whom people look at and scratch their heads asking, “How on Earth do they get so much work done in a day and still have time for themselves?!? The NASCAR Folds of Honor Quiktrip 500 is being run today at the Atlanta Motor Speedway. Real estate agents can learn a lot from this sport to enhance their business. It appears to those who do not follow car racing, that these drivers are simply going around in circles getting nowhere fast. However, those who DO follow NASCAR or any motor sport, understand that there is so much more to the process & driving on a racetrack than just making one big left-hand turn. Just like the public always says, “You have a GREAT personality so you’ll do really well in real estate!” We all know there is a lot more to success in your real estate career than simply having a good personality. A race car driver must first pass tech inspection for every race including his fire suit & race gear, know his car and make continual adjustments based on the race and his performance to the point when he comes in for a pit stop. Sometimes he may need 4 tires, sometimes 2, sometimes he needs to adjust the car, sometimes the set up is just right. Also, the driver is extremely dependent upon several others – his pit crew, his spotter, must recognize his sponsors AND is even dependent on the other drivers. Drivers must also acknowledge their fans – perhaps that’s where the good personality comes in! Are you dressed like the commission you charge? Learn Matrix in FMLS because Fusion is going away! Remember that your Co-op agents are really your clients so treat them that way! Write an informational newsletter or article for your HOA, community paper, church bulletin, school publications, etc. Go Junior!!! or Gordon!!! or Logano!!! but really Junior!! !